One would think that Rock 'em Sock 'em Robots might be the most appropriate toy to come out of Fight Club. But for fans of the movie (and those dreaming for an action figure take on a shirtless Brad Pitt), the 2015 Funko Fight Club ReAction figures will have to do. The retro-themed line features four figures. There's the nameless Narrator who was played by Edward Norton. 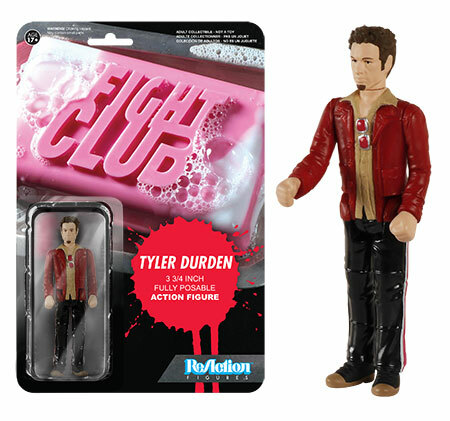 Brad Pitt's Tyler Durden has a pair of figures. The first has him fully clothed in his sleazy outfit. 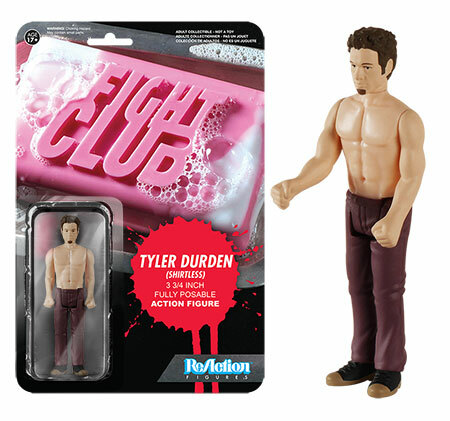 Durden also has a shirtless version for those times when Fight Club is in session. Closing out the line is Marla Singer (Helena Bonham Carter), who's looking a little rough. All of the figures are basic by design. That plays into the retro appeal -- even if the film itself isn't exactly retro. ReAction figures are modeled after the old Kenner figures millions of kids used to play with. 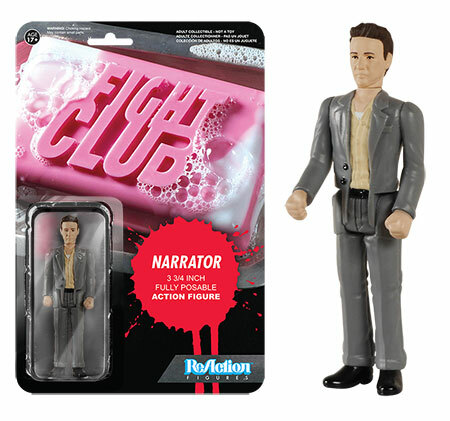 Each of the 2015 Funko Fight Club ReAction figures comes packaged on a colorful backing card with the film's iconic soap logo.